One of the most talked about and culturally relevant issues of our time is the decline of traditional media and the rise of newer, faster, and less expensive forms of information dissemination. 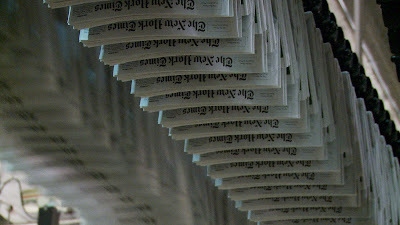 With an increasing number of daily newspapers shutting their doors or introducing major layoffs and cutbacks, it may look like the battle is already over. The digital age has finally won out over traditional media. But many would argue that is not the case. And many of those people just happen to work at the New York Times. One of the most venerable and respected newspapers in the world, the NYT represents a bastion of journalistic integrity featuring "all the news that is fit to print." However, as one of the last remaining daily print periodicals, is it just a matter of time before the Times shuts down too? In an era where information comes fast and cheap (if not necessarily accurate), how can a newspaper compete against the world of blogs and social media? 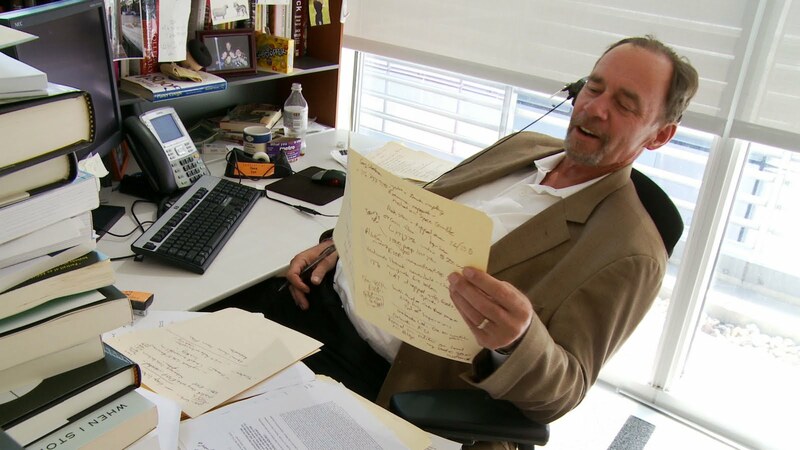 David Carr in PAGE ONE: INSIDE THE NEW YORK TIMES, a Magnolia Pictures release. 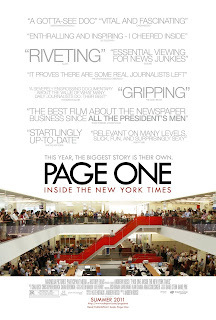 That's where Andrew Rossi's engrossing new documentary, Page One: Inside the New York Times comes in. Rossi spent a year behind the scenes at the New York Times, where he was granted unprecedented access to the daily goings on in the newsroom. The result is not only a document of a newspaper's daily operations, but a testament to why the newspaper is still essential. While social media sites such as Twitter and the blogosphere make the race to be first paramount, the New York Times still retains their dedication to being accurate before being first. 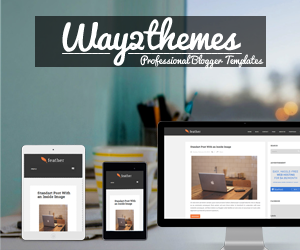 But more than that, they still struggle with keeping up with the times - how do you evolve in a fast-paced modern world that is quickly leaving your medium in the dust? Through interviews with NYT editors and reporters, Page One pieces together a portrait of an industry trying to find itself in a time of great internal upheaval. Film buffs may especially recognize David Carr, formerly known as The Carpetbagger, whose acerbic wit and blunt, tell-it-like-it-is attitude comes to represent the old guard, grudgingly transitioning into the future of news. His strong defense of the New York Times, however, also gives the film its strongest arguments for the necessity of the newspaper. Carr knows his stuff, and he understands the newspaper's place in a digital age. A scene from PAGE ONE: INSIDE THE NEW YORK TIMES, a Magnolia Pictures release. To Carr, the newspaper is not dead. Nor will it ever be. It is simply in transition. The film covers the Times' controversial recent decision to put up a paywall on its website, leading many to protest putting a price on information that is free elsewhere. But in a world where speed has replaced accuracy, and partisan punditry is masquerading as news, real, principled journalism is worth its weight in gold. 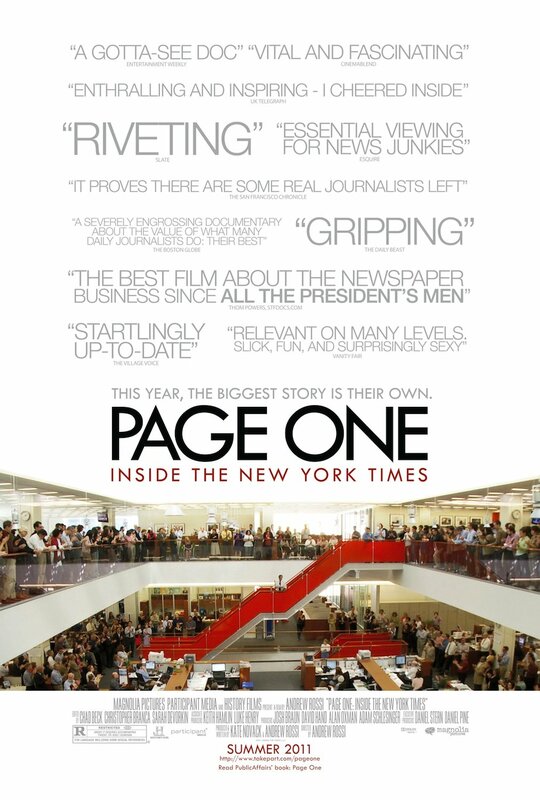 Page One is clearly a film that favors print journalism. Yet it also understands its need to keep up with the digital age. In that regard the film is both a tribute and an elegy all in one. This is not just a documentary about the workings of one newspaper. It is a snapshot of a very specific place and time, an engaging look at a changing world and an industry struggling to keep up. It invites its viewers into a kind of dialogue on the values of print vs. digital, of old media vs. new media, and how the two can perhaps find a way to coexist. The newspaper isn't dead. Not yet, anyway. And Page One reminds us why it is more vital today than ever. It's not just nostalgia, it's necessity. PAGE ONE: INSIDE THE NEW YORK TIMES | Directed by Andrew Rossi | Rated R for language including some sexual references | Now playing in select theaters.